This guide gives a brief overview of the process of buying property in Bulgaria. Property in Bulgaria represents an excellent investment considering the long-term prospects for the country and its entry into the EU. 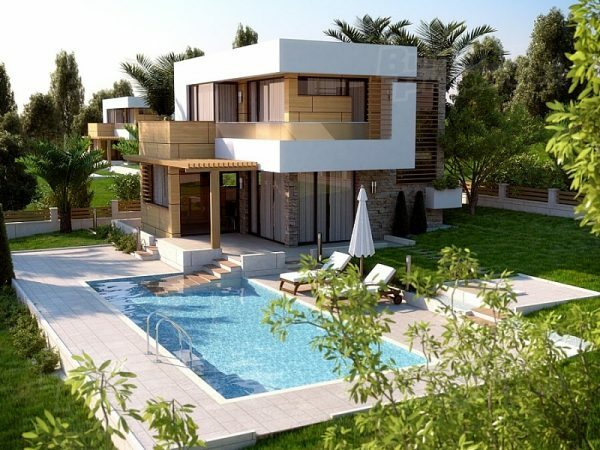 If you are looking for an off plan property or investment property in Bulgaria then we have access to all the latest off plan developments in the country. Remember Bulgaria offers some of the best investment opportunities in Europe at the moment with potential capital growth exceeding 200% in the last 2 years alone. Don’t get left behind! If you are looking to buy a freehold property with land (a house or villa or just land) then you will need to consider setting up a Bulgarian Company. According to Bulgarian Constitution and legislation foreigners currently are prohibited from owning land and can acquire only buildings but not land on which the buildings are built. This is easily overcome by forming a Bulgarian registered company with yourself being a sole owner and director. This law was removed before EU membership in 2007 and it is one of the main reasons that property prices are so attractive compared with Western Europe at present. The costs for setting up such a business should be around 500-700 Euros absolute maximum. Buying an apartment in Bulgaria or a studio is far easier and does not require the setting up of a business in Bulgaria. With literally thousands of properties for sale all over Bulgaria and from over 16 of the largest Bulgarian Estate Agents we are sure that you will find a suitable property from within our extensive database. If you have any trouble locating the area or the property of your choice simply contact us and we will assist you with your search. So you’ve found your property – you’re happy with the details and the price. The next step is to engage a solicitor whether it be English or Bulgarian they will draft a preliminary contract containing all of the agreed details, money paid and setting out the terms and conditions of the deal. You will need to sign the contract in order to proceed with the purchase. The standard deposit in Bulgaria is 10% of the agreed purchase price. If after signing the preliminary contract the seller unreasonably refuses to sell the property, they will have to refund normally twice the deposit back to you, in addition if after signing the preliminary contract you unreasonably refuse to purchase the property, then you will lose the deposit you have already paid. This is normal practice throughout Europe. Once deposits have been paid the solicitors will then progress to carry out the normal property and legal checks on Title documents, Licenses and permissions, Debts on Title etc. This can take upwards of 3-6 weeks. Once all of the preliminaries have been dealt with and all the checks have been performed by your legal representative its time to pay the remaining balance for the property and complete the purchase of your new property. A visit to the Notary will entail you signing the deeds, the state and Municipal taxes must be paid, the full amount paid to the vendor and the title deed will then be transferred into your company name. Reporting the property to the relevant tax authorities. This needs to be carried out within two months of the date of the transaction settlement before a notary. Well Done! That’s it basically you are now the proud owner of a property in Bulgaria. There will of course be things that you may or want to do to your property after purchase especially if it is an older property requiring renovation works etc. However, you must remember that certain renovation works will require relevant permissions and you would be well advised to check on all these things prior to purchase to ensure you can make the property into what you want. Be aware when buying a resale property in Bulgaria that there is a ‘Tax Estimation’ tax to be bourne by the seller and as such the preferred practice of most vendors is to write the property sale price in the Title Deeds at a lower amount thus resulting in the vendor paying a smaller tax. This is a normal practice and is OK if when you come to sell the property at a later date you too can perform the same action otherwise you may well lose out. If you’re not sure about this then ask us or your solicitor for a clearer breakdown of whats involved.